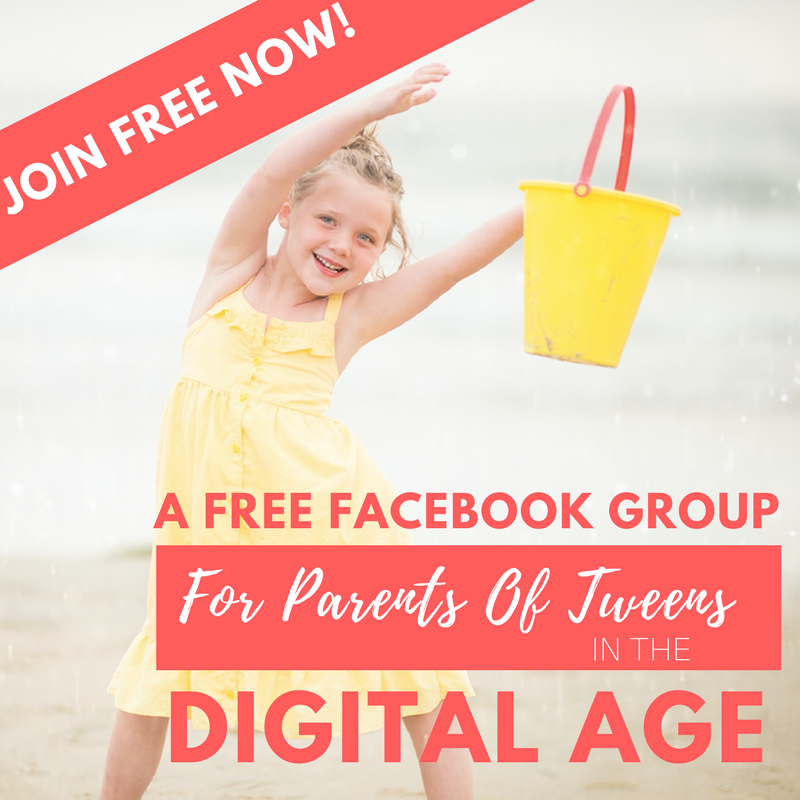 Keeping up with your child's online use can feel daunting. There are so many things on your parenting to do list. Is your child playing outside enough? Will she know how to assess the credibility of sites? Are they transparent about their online activities? Sometimes this leaves you stunned into inaction. You keep circling around these same questions without really digging into any one of them. And, more importantly, without teaching your child about any one of these things! And the reality is that this is harmful to your child because she needs your help and your guidance. The good news: There's a chance that you are over-complicating things. 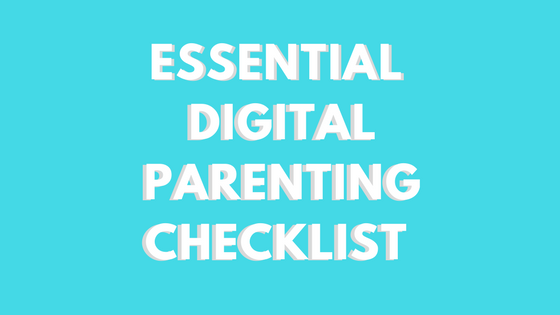 For help getting started, click the image below to get your FREE checklist for moms of new(ish) digital kids. 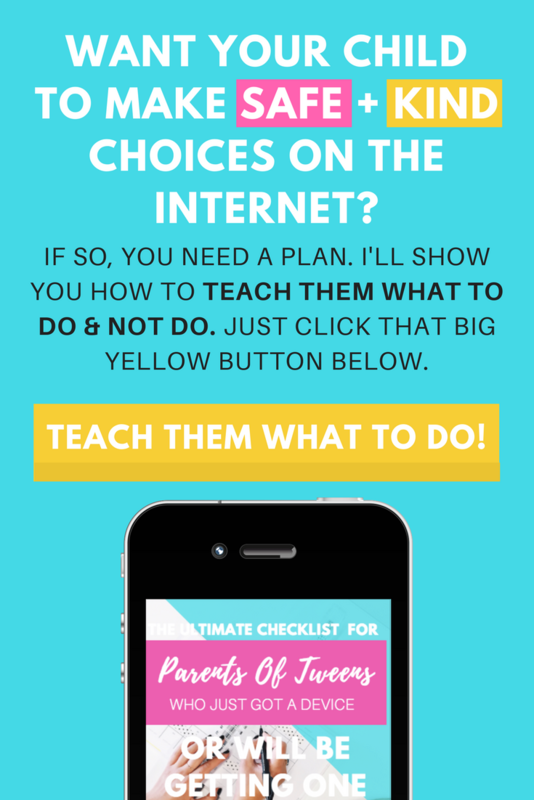 It's super helpful and you can start using it right now! 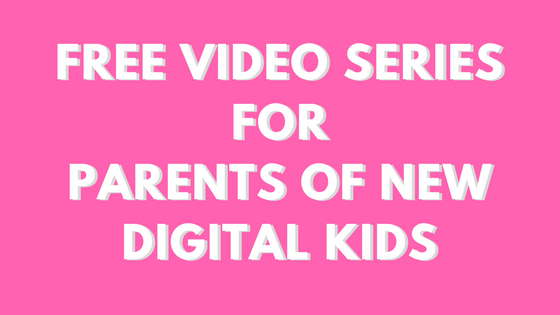 What you need to teach your child about the online world all comes down to four prongs. 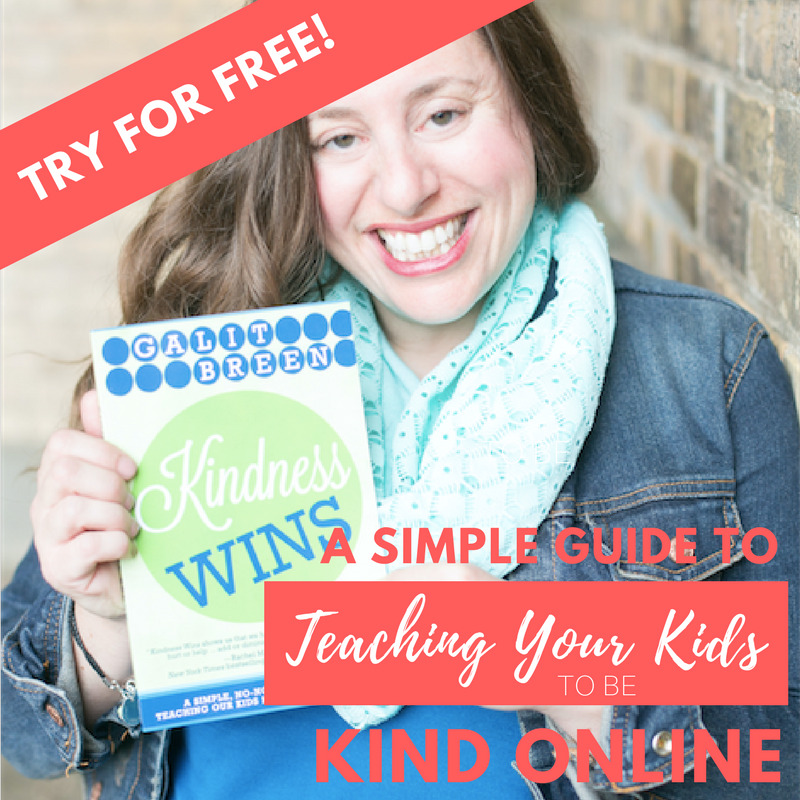 While this topic is absolutely layered and nuanced, my research has shown that what you need to teach your child about the online world all comes down to four prongs. This is exactly what you're going to dig into in this article. I know that what I teach is different than what other people say about this topic. Absolutely everything that I teach is based on my studies in Human Development — I'm a sucker for anything brain-based — and on maintaining your relationship with your child at the forefront. I learned this from my M.A. in Education and from a decade of being classroom teacher — when your child is connected to you she's more open to learning. So I use these two "groundings" to guide all of my teaching because they make it easier for you to teach and for your child to learn. Your family is truly screen-free. And will continue to be in the near future. You have a school-age child. Or will be using one soon. If this is the place for you, then read on, I'm so glad you're here. A bit ago I spoke at a church group about this topic. I knew from experience that you can only get so far in a one-time talk and I wanted to make sure that at the very least we discussed what they really wanted to know about that day. So I gave each person an index card. On one side, I asked them to write down what their most burning questions about this topic are today. And on the other side I asked them to write down what would make them the happiest when it comes to this topic. When they were forced to sit down with these questions, most of them spiraled into other questions that were on their minds. They weren't ready to commit to 1-2 ideas. There's so much to unpack with this topic. So you tend to go to the first layer of information that pops into mind, or into your Facebook feeds, and this is what sends you on "bird walks" as an old professor of mine used to say; side topics that derail you from the heart of things. And this cycle can be endless. 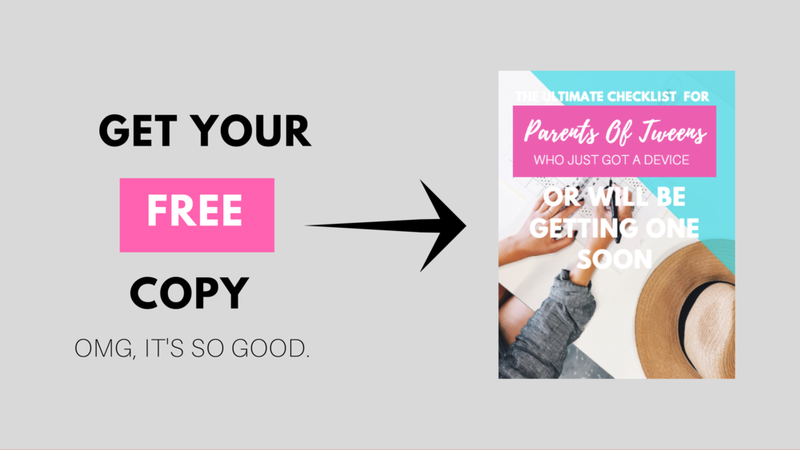 My research has shown that not only is doing this exhausting and relatively fruitless—you're chasing information that is ever-changing and you're avoiding the one thing your child actually need you to do which is talk to her. How + why your child act certain ways. How to best teach your child. The 4 skills that your child need to be successful online. Let's start at the very beginning with the why behind how your child acts. I base all of my research about kids online based on William Glasser's theory that all behavior is purposeful. We're going to unpack what this means for your child online, but we'll start here so that you can see how it works. Glasser identified 5 basic needs that you have. The way that they interplay with each other is just as important as what they are. Survival: The need for food, shelter, and safety. This is a physiological need. Love & Belonging: The need to love and be loved, to give and to receive affection, and to feel a part of a group. This is a psychological need. Power: The need to achieve, to be competent, to be skilled, to be recognized for these things and to be listened to. This is a psychological need. Freedom: The need for independence, autonomy, and to have choices. This is a psychological need. Fun: The need to play and to laugh. This is a psychological need. Here's how the 5 basic needs work together. Survival belies all the others—if it's not met, the other ones "take a backseat" to it. More simply put, the psychological needs don't matter as much when survival is at stake. And the other four needs interplay with each other differently for each individual. Assuming that the Survival need is met, most people are led by two of the four psychological needs while the other two take a "backseat." So why am I telling you all of this in an article about kids using the Internet, right? First, when you understand why your child acts the way she does—which need she is trying to meet—you can better plan and design what she needs to know and learn. Because while you can't control which of her needs "take the wheel," this is based on how she is individually wired, you can directly impact her current knowledge and skills. And the second reason for starting by understanding how basic needs work, is that online safety comes first because it's a matter of survival. So when it comes to kids online, you *start with safety. This is why you see so many top 5 lists about apps to keep your child away from. Or the best apps to monitor your child's online use. These bloggers and app makers are trying to attack safety first. And while I don't agree with the method (you can't actually KEEP your child safe, you have to teach her how to BE safe), I do understand the purpose. But that * on *start is absolutely on purpose. Because real, tangible harm comes from stopping there and not continuing to teach your child what she needs to know next. Above, I kept using Glasser's car analogy, where some psychological needs always have to take a "backseat" to others. Another way to say this would be that most people have two needs powering their front wheels while the other two psychological needs follow along in the back wheels, not guiding your child's behavior. I told my daughter not to post that photo, but she did it anyway. My son is such a great kid, but he just tweeted something that had a word in that I did not expect him to use. My eight year old is so creative and playful, but he has the default of if we're home, he expects to be on the iPad. I feel as though I have lost control of all boundaries and his expectation of what he can do online. 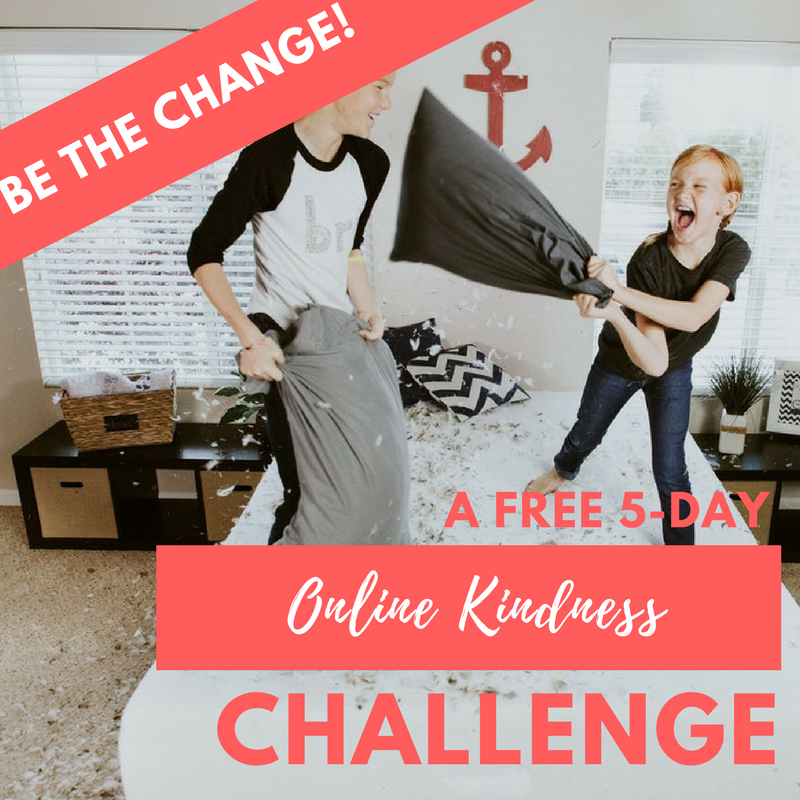 We have too many tough conversations about how his behavior (and lack of respect, or worsening of tone of voice) change after having too much screen time. 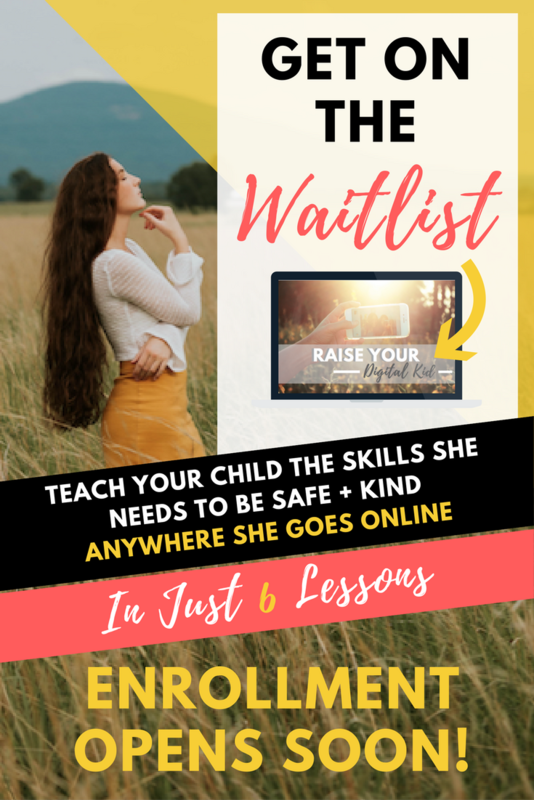 Because once your child knows how to be safe online, there are still three other needs, or skills, that you absolutely need to teach her. You are leaving her to "spin her wheels" when you don't teach these. And just like someone can't just tell you to "Eat healthily!" or "Study hard!" without teaching what this looks, sounds, and feels like, you can't just tell your child to "be safe" or to "have balance" in her online use. You have to teach her how to do this. You set aside a designated time to talk about this topic. You purposefully teach your child what she needs to know. And you don't mince words about what's important. And, most importantly, you address all four essential prongs. You start with balance and safety because these are the front wheels while your child is learning. But you definitely don't stop the car with the last two prongs. This is how we do things differently. And as for why we do things this way? Because it works. Don’t limit a child to your own learning, for he was born in another time.